If you haven’t already done so, do plan on adding at least one fruit tree to your landscape or potted garden collection. The selection is still terrific as our lovely Southern California weather permits us to plant nearly anytime of year. 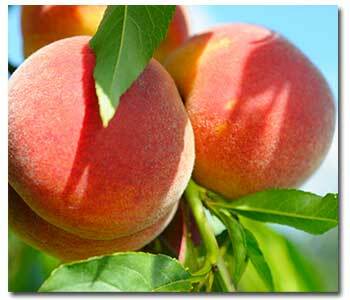 If space permits, consider fruits such as apricots, nectarines, peaches, apples and plums. The 5-gallon size is very affordable. You need an area of about 10’x10’ for 1 standard size fruit tree. Add support plants such as salvia, edible sage, rosemary, trailing roses, lavender, parsley, strawberries, thyme and oregano. Use the same concept in large containers…fruit tree in the center…herbs and strawberries on the perimeter. As always, mix in an organic amendment when planting in your native soil or for containers, use a nutirent-rich potting soil such as Fox Farms® Ocean’s Forest or Kellogg® Gardner and Bloome® Potting Soil. Citrus trees such as meyer lemons, satsuma tangerine, valencia or Washington navel oranges, kumquat, limes and grapefruits can also be planted now and mixed with perennials and herbs. Fertilize monthly with your choice of organic fertilizer. Remember the more sun they’re planted in, the more fruit you’ll see, the more homegrown fruit you’ll eat and the more health benefits you’ll receive! For instance, apples are a natural cholesterol reducer and they do help clean your teeth and prevent cavities! The sooner you get growing, the sooner you’ll reap a healthy harvest!